What is the role of international organizations in the international political system? 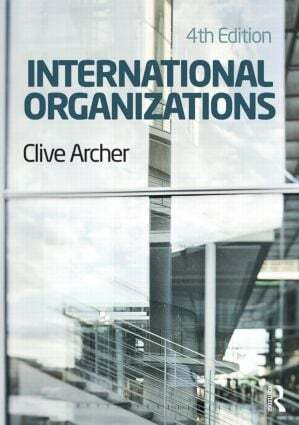 The fourth edition of Clive Archer’s widely used textbook continues to provide students with an introduction to international organizations, exploring their rise and development, and accounts for their significance in the modern international political system. has been fully updated to take into account the considerable developments in the field since the last edition was published in 2001.
continues to offer a unique concise yet comprehensive approach, offering students an accessible and manageable introduction to this core part of international relations. offers an authoritative guide to the literature about international organizations and provides advice on further reading. Clive Archer was, until 2009, Research Professor at Manchester Metropolitan University and is now a freelance researcher and writer.